Memorial Day is less than a month a way, but there's still plenty of time to plan an extended weekend getaway. 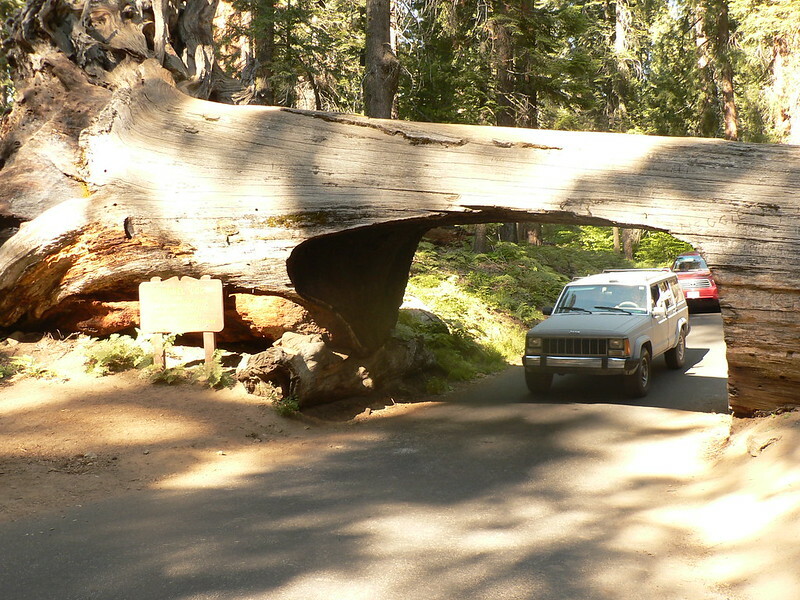 High on our list this year is Sequoia & Kings Canyon National Parks. Feeling small amongst a grove of giants never felt better. While they are two distinct parks, they are adjacent and offer their own unique sights. Sequoia National Park is quite obviously named after the sea of giant sequoias that inhabit the area, while Kings Canyon National Park is home to the largest canyon in North America — it is in fact deeper than the Grand Canyon! Between the two parks, there are 800 miles of trail to keep you busy. General Sherman — Did you know that the largest tree (by volume) in the world resides in this park? The Congress Trail begins at this magnificent creature, and takes you through the heart of the Giant Forrest. For even more big trees, take the Big Trees Trail; you won't be disappointed. Crystal Cave — Pictured above, this is the longest cave in California, at nearly two miles long. Moro Rock — From the top of this granite dome you'll find spectacular views of the western portion of Sequoia National Park and the Great Western Divide, which is a chain of mountains that runs north to south through park. Beyond the Divide to the east is Mt. Whitney, but you won't get a glimpse of her unfortunately. The Sequoia Natural History Association leads tours through the cave daily during the high season. Hamilton Lake — Backpackers love to take the High Sierra Trail to Hamilton Lake, a gorgeous place to rest your weary feet and take in the scenery. Panoramic Point — This quick, paved but steep trail ends with a view of the Sierra Nevada Mountains that't true to its name. Mist Falls — A hike to the top of this popular waterfall takes roughly three hours round trip, and is a bit challenging near the end, but the scenery along the way and at the top are well worth it. Rae Lakes Loop — This 41-mile loop is so popular among backpackers, the National Park Service recommends making a reservation. With views like the one above, we can definitely see why.